As the digital label printing market is growing, it’s hard to keep up with the latest technologies and innovations. But when it comes to industrial color label printing, look no further than DuraFast Label Company. We’re a Canadian company with the headquarters in Toronto, Ontario. 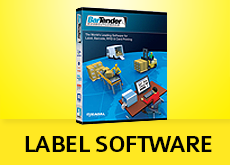 Having a color label printer onsite will ease the process of goods labelling. It doesn’t matter what you are going to print whether labels, barcodes, badges,wristbands or tickets, we have printing equipment that can satisfy any demand and budget. Are you looking for a desktop label printer solution or a powerful industrial color label printer? Look through our product range. Primera Technology and many others. Feel free to contact us. Our specialist will lend a helping hand to choose a fast and powerful label printer that meets your production needs best. State-of-the-art printers utilize the latest technologies available on the market to print superb full-color labels for products or any other goods, boxes, etc. Printers are as a rule equipped with separate ink cartridges for each color that can be easily replaced when needed. We can supply you with everything you need for label printing – blank/sheet labels, ink cartridges and toners, etc. In case of need, we can send you a free label sample. To start printing full-color labels onsite, contact us to get a quote or any further information.